The Bicentennial gala at the Rooms on Oct. 21 was only the beginning of a year of celebrating the 200th anniversary of Bahá’u’lláh’s birth. Individual Bahá’is and Bahá’i families will hold both private and public celebrations throughout the coming year – such as a party held on Oct. 28. 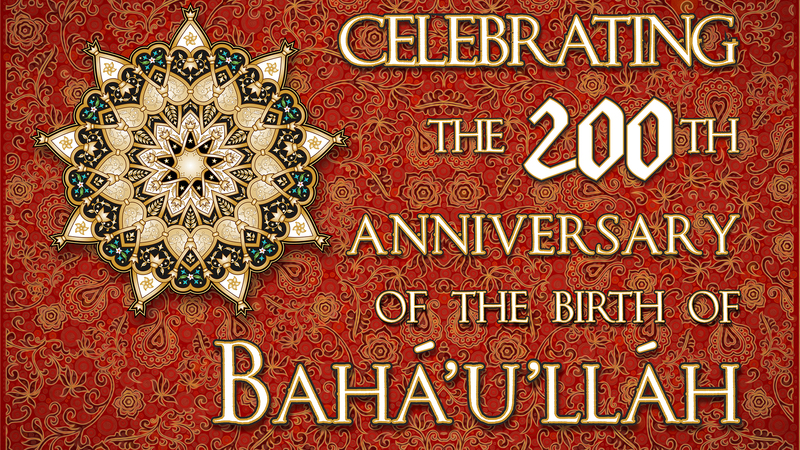 A group of seniors celebrate Bahá’u’lláh’s birth with a potluck on Saturday, Oct. 28. About a dozen residents and guests gathered at a local seniors complex to celebrate the 200th anniversary of the Birth of Baha’u’llah on Saturday, Oct. 28. 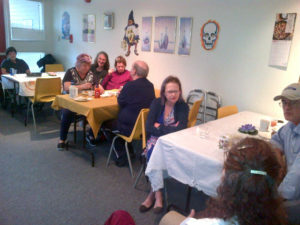 Hosted by Andrea Glenn, the evening featured games, Newfoundland music and a wonderful potluck meal. Bahá’u’lláh was born in 1817 in Tehran. Today, more than five million Bahá’ís around the world revere Him as the most recent of history’s Messengers from God, whose purpose has been to guide humanity towards the advancement of human civilization. Check our events page for future celebrations.